Open, elegant, serene and timeless Mediterranean is how a FC Barcelona-created committee described the winning design of the new Camp Nou. 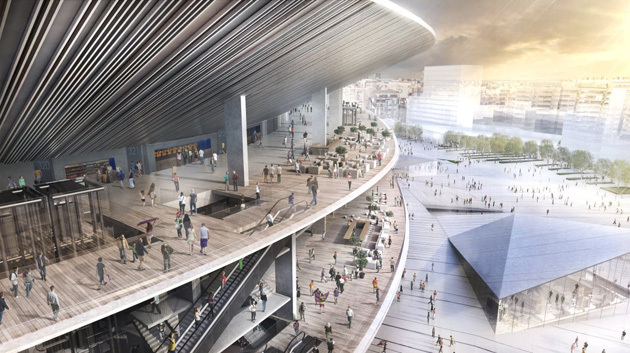 After a design competition kicked off in June 2015 with a total of 45 initial bids, the final eight bid teams were narrowed to one winner for Barcelona’s stadium project, with 100-year-old Japanese firm Nikken Sekkei joining local firm Pascual i Ausio Arquitectes as the winning team. The combination of a Japanese firm and Catalan studio positions Barcelona with international and regional expertise to redo the 1957-built Camp Nou, the largest stadium in Europe. The plan aims to reproduce the “characteristic vision of the grandstand and canopy, from the inside out, a silent and powerful tribute to the stadium built by Francesc Mitjans,” the club says. Renderings vs. Reality: Why do stadium designs frequently change? 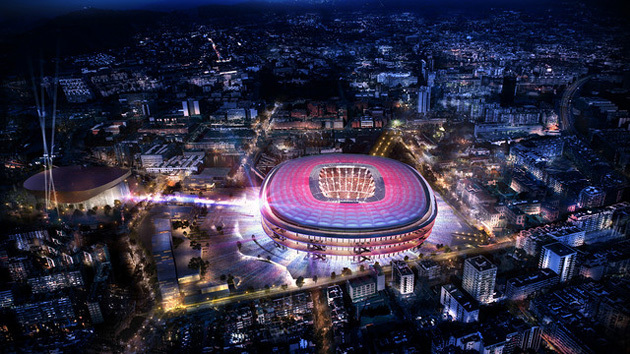 Barcelona has explored renovating the 98,000-seat stadium for over a decade. A 2007 Norman Foster plan was abandoned, deemed too costly. The original idea of constructing a brand-new facility at a different location took a turn when a 2014 announcement showed the club’s intentions to fully renovate Camp Nou where it stood and add a new basketball arena on the property. While not technically a new stadium, club officials and new renderings show that it will effectively look like one by the time they’re done. Both inside and out. Initial plans called for seats closer to the pitch, new restaurants and “super boxes.” The roof canopy will create both a more comfortable viewing opportunity for fans while building in a noisier atmosphere. Barcelona plans to unveil more details on the entire campus remodel in the coming weeks.